An annual gynecological visit is critical to preventative care. Depending on age and medical history, part of the annual well-woman visit may include a procedure known as a Pap smear. A Pap smear tests for abnormal cervical cells which may be due to inflammation or a precancerous condition of the cervix. If a woman receives an abnormal pap smear, the next step may be a colposcopy. A colposcopy is a procedure that allows the doctor to biopsy suspicious tissue. Receiving an abnormal test result can be a scary experience. Cherokee Women’s Health can ease any woman’s mind with the new, state-of-the-art colposcopy exam. The DySISmap Advanced Cervical Imaging System is a revolutionary technology that measures abnormal areas of the cervix. Cherokee Women’s Health is the first practice in north Georgia, and only the fourth in the state, to offer this highly sensitive colposcopy technology to women in the community. 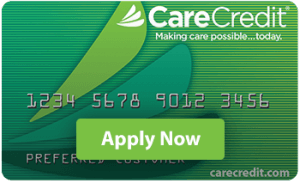 We’re proud to bring our patients access to this ground-breaking technology, currently available only in powerhouse healthcare systems including Emory Hospital and Grady Memorial Hospital in Atlanta. 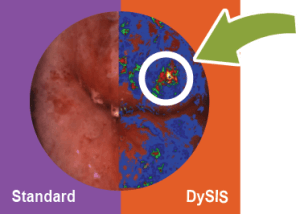 Unlike a standard colposcopy, the DySISmap offers a color-coded digital map of the acetowhitening process which details abnormal areas of the cervix. The color-coding highlights any cervical abnormality from weak to strong areas of concern, and tells the doctor exactly where to biopsy to test for cancer or precancerous cells. This precision in detecting any inflammation or precancerous conditions early allows doctors to treat the cervix before the cancer spreads to other areas of the body. With the DySIS system, patients may choose to watch the scan as the doctor performs it, and the DySIS allows the doctor to store images captured from the scan. By storing these images, later scans can compare cervical changes over time. Contact Cherokee Women’s Health with any questions related to cervical health or to learn more about the DySIS Advanced Cervical Imaging System, a new technology which can put your mind at ease.